Pioneer CDJ-900NXS Professional DJ Multimedia Player DJParts - All Variety of Parts that DJ Needs. The new CDJ-900NXS player shares the operability and highest performance functions of the industry standard CDJ-2000NXS. 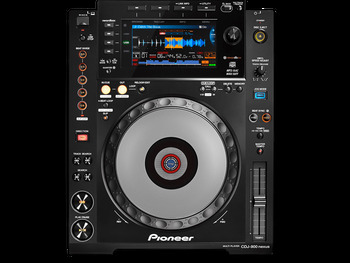 The CDJ-900NXS features a large full-color LCD screen, rekordbox™1 music management, WiFi and USB connectivity with smart devices and a variety of performance functions including Beat Sync, Quantize and newly developed Beat Divide.